There are determining factors in baldness, like the genetic and hormonal ones. 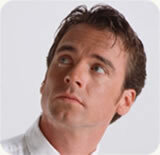 Once the hair loss is manifested, there is no other alternative for hair recovery than the surgery procedure. The main goal in hair loss treatment is to achieve a natural look in the result. We perform a procedure called hair transplant, or micro-surgical hair transplant, with careful design, adapted to each patient and with a meticulous execution. We do the surgery in an outpatient basis (no need to stay overnight), with local anesthesia and if the patient wants, with light sedation for greater comfort. We take a section of the scalp from the occipital or lateral area of the head and after dissecting it with specific instruments, we proceed to transplant it into the bald areas, which have been strategically selected in previous consultations. In the frontal implantation zone we place hair by hair for a natural result. Behind the hairline we transplant in units of 2 to 4 hairs to obtain density. There´s no possibility of rejection because the patient´s own hair is used. The percentage of follicles loss is very low, and so are the complications from the procedure. The surgical intervention takes 3 or 4 hours. Depending on the case, new sessions of hair transplantation may be required, yet not before the first 3 postoperative months. The results are noticeable after 8 to 12 weeks and afterwards the hairs will continue to grow at a pace of 1cm per month. It doesn’t require any later maintenance.